Place the chorizo sausages on the grill. Cook for around 15 minutes on each each side or until lightly browned. Serve with lettuce, tomato, mustard or chimichurri sauce. The chorizo sausage can also be cooked over a griddle or in a cast iron frying pan. It’s not recommended to stab or ‘pinch’ the sausages with a fork while barbecuing; the grease drippings could catch fire on the grill. To better avoid this situation, soak the chorizos in water for a few minutes before grilling. 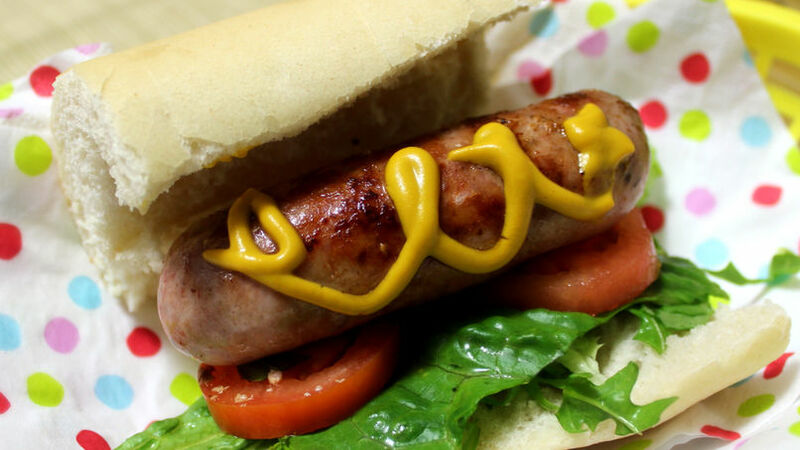 Choripán is perhaps the most famous sandwich throughout the Southern Cone. It’s typical to eat on fútbol fields or during family barbeques on Sundays. At home, this is an essential part of our weekend menu, since it’s one of the easiest meals to prepare. It’s sabroso, reasonable in price and will leave even the hungriest in your family satisfied.